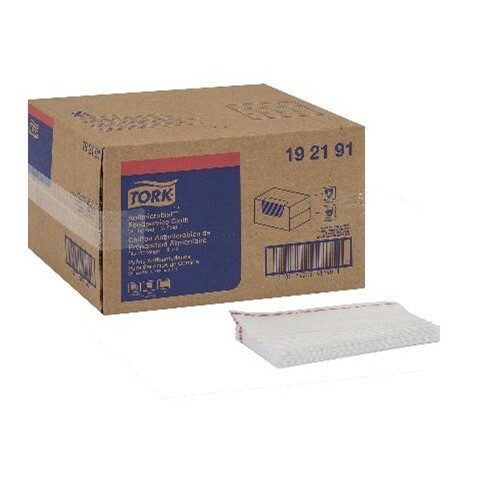 Tork Antimicrobial* Foodservice Cloth is ideal for cleaning, degreasing and sanitizing in foodservice environments. This product comes in an easy to store self-dispensing box. Cloth treated to help inhibit the growth of odor-causing microorganisms - cloth stays fresher longer. Designed for use with sanitizing agents. Available in different colors: Designating area of use by color will help reduce the risk of cross-contamination. Easy to rinse texture that drys quickly and is low linting. Antimicrobial technology - inhibits the growth of order-causing bacteria in the foodservice cloth, which keeps the cloth fresh longer.